Our newest stand cooler! This Party cooler is a high stand cooler and comes with a matching 6' umbrella. It has a quick open top pocket. Includes carry bag and shoulder strap. Available in Black, Blue and Red. 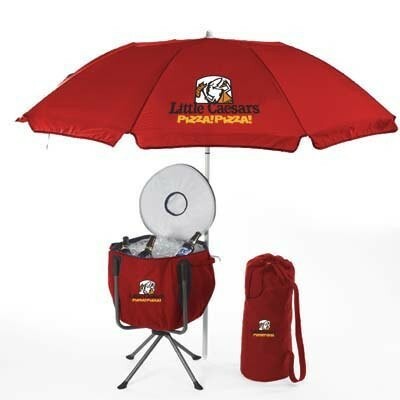 Imprint Area: 12" x 9" umbrella / 6" x 5" cooler 15" x 10" x 26"